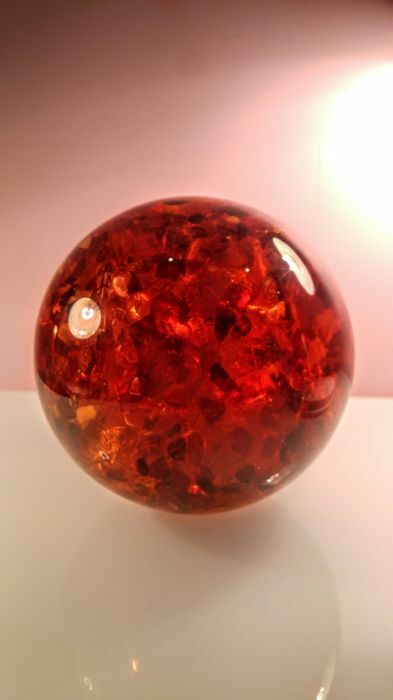 Sphere made of two components....Natural Baltic amber stones and resin. 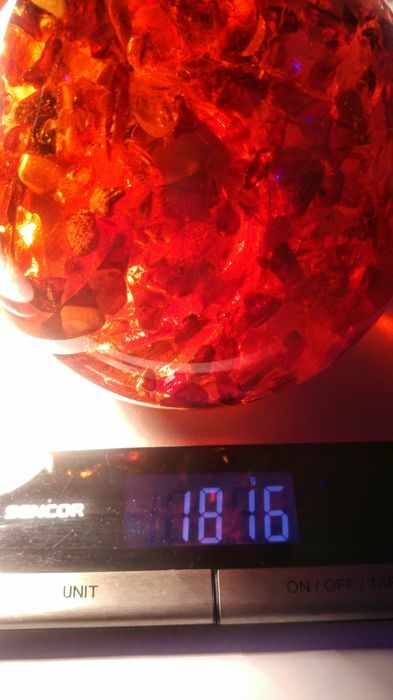 Natural Baltic amber pieces flooded with resin. 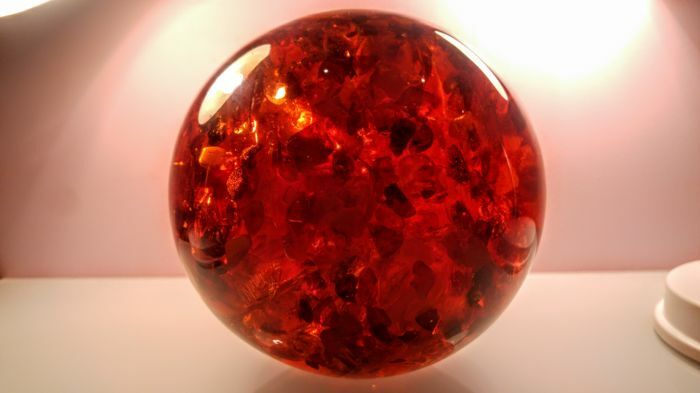 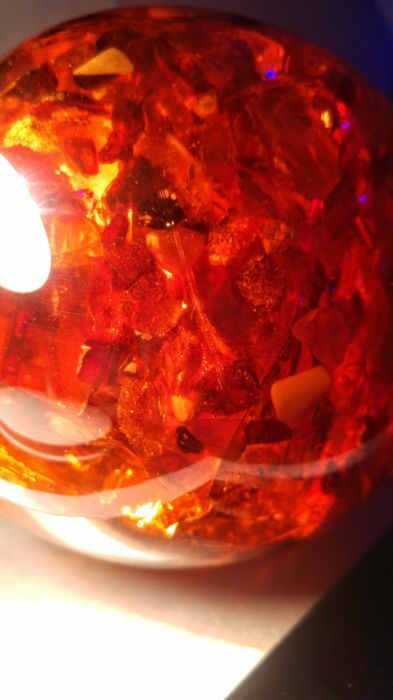 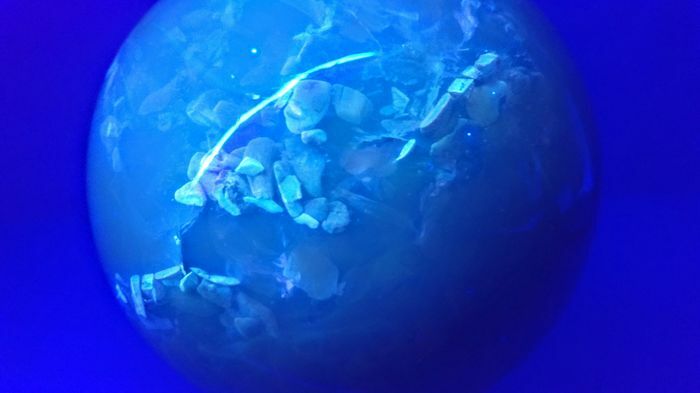 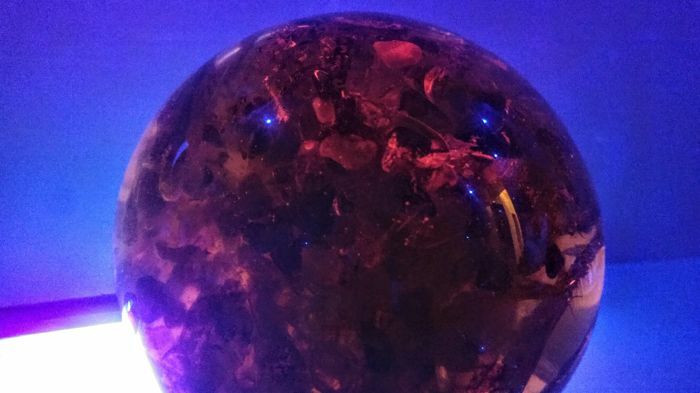 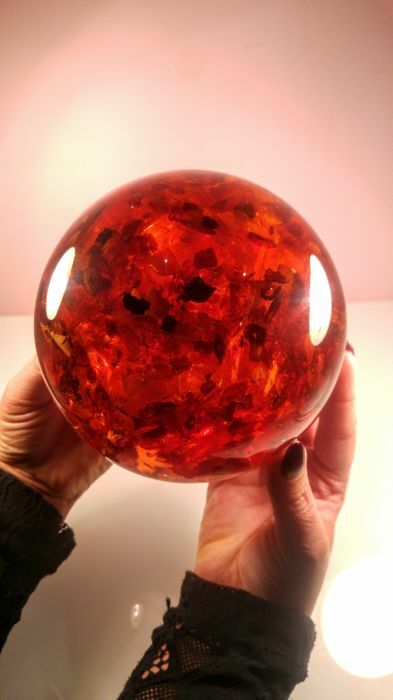 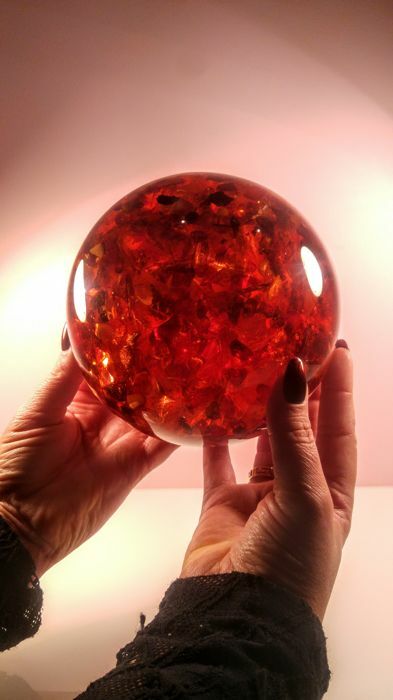 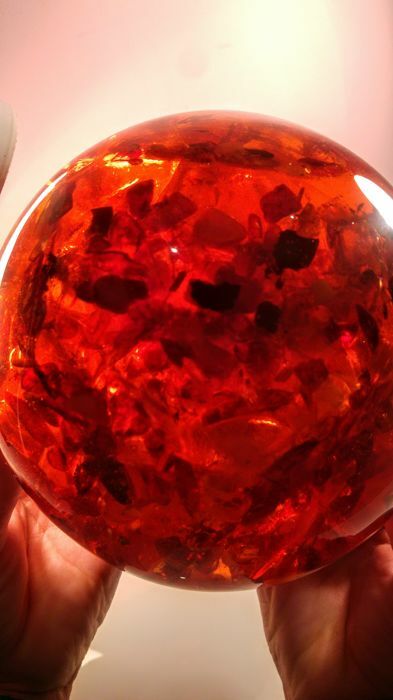 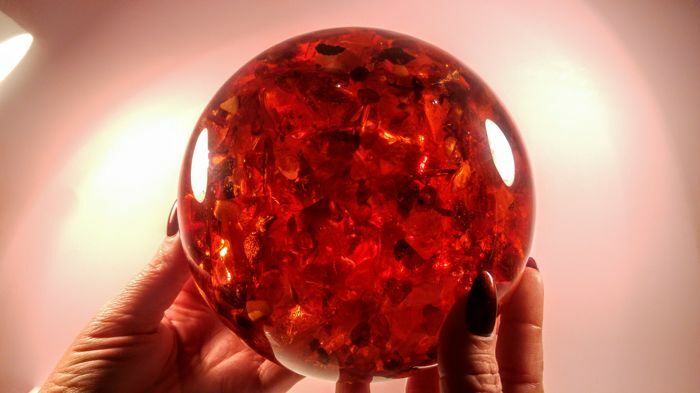 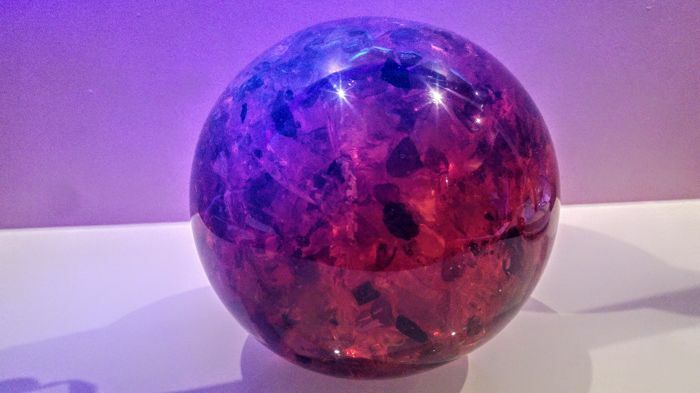 Amber pieces inside ball can see very well, and they gives a beautiful color. 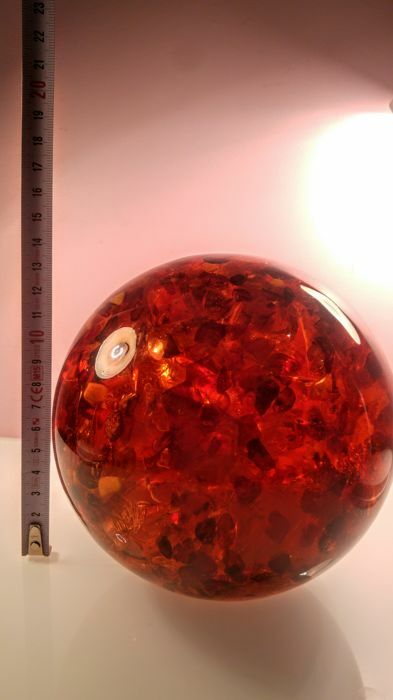 This is a great souvenir for collector. 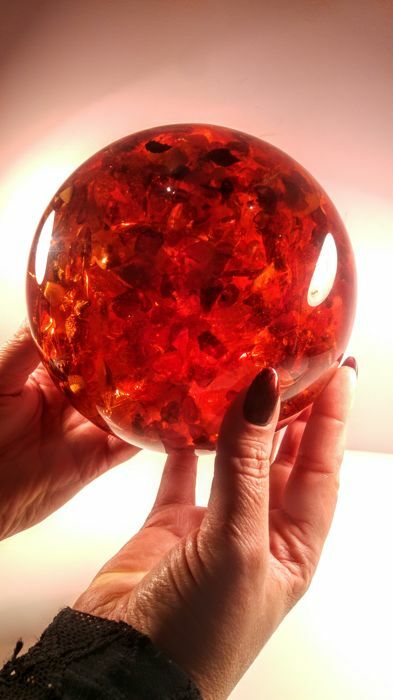 Pleasant to take in hand. 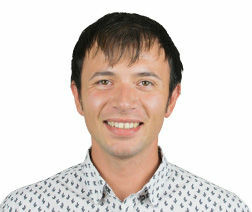 Shipping with tracking number and insurance, with Lithuania Post. 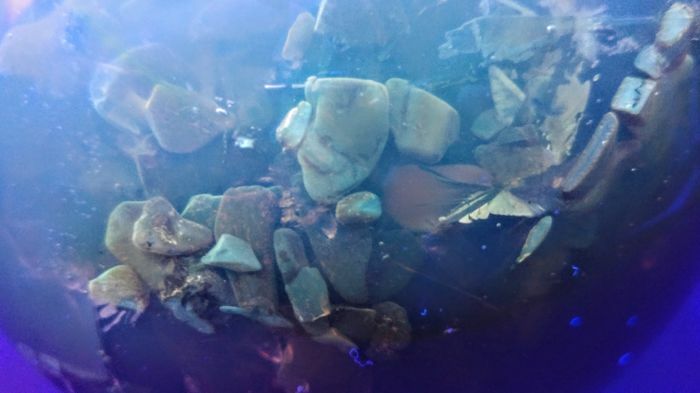 U kunt dit kavel ook ophalen bij de verkoper: Klaipeda (Lithuania), Litouwen.